Patrick Kiteley is known around the world as a speaker with a clear prophetic message of restoration, hope and healing. He is the seventh generation of a ministry family that dates back to the circuit rider preachers. Over the past two decades Patrick has pastored in the church and worked with the business, arts and entertainment, sports, government, and education arenas. He is an itinerant speaker, coach and mentor. Patrick has a passion to teach people to love Jesus, have fun, and change the world. He and his wife, Marlena have three children and four cats. They planted a new church called Rain Church in Atlanta, Georgia in September of 2016. Everyone wants to know their purpose in life; they want to understand what they were put on this earth to do. If you have been around church for any length of time, you have most likely been told that God has a plan for your life. This workshop will encourage those who see themselves as an insignificant spark to dig deeper in identifying who they are in the Kingdom and what He has called them to do. Sparks can fly and impact lives too! Someone who literally blazes a trail is the first to go through that trail in the woods. They leave marks behind for others to follow. This workshop will open your eyes to how you can blaze a trail in territories that others have not been willing to go on their own but are inspired by you. Lead by leaving an invaluable mark upon your family, your church, and your community in a way that impacts change. Fully Ignited- And then there was Light!!! 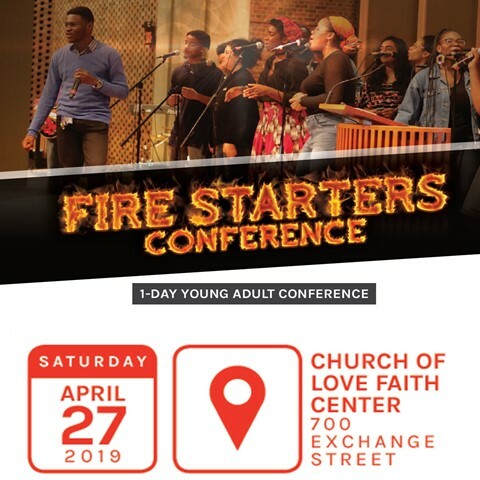 Are you ready to be fully on fire for God? This workshop is ready to ignite you and inspire you to move to the next level in your relationship with God. No more sitting on the sidelines watching others grow in their fellowship and passion for God.